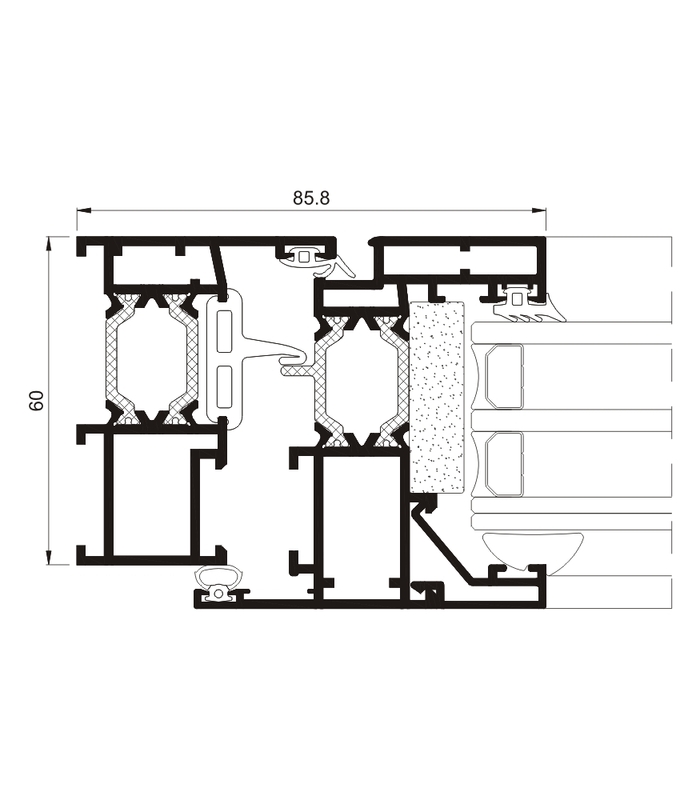 Cor 60 RPT is a Euro-Groove hinged system with a frame depth of 60mm. It has a Polyamide strip length of 24mm and a great acoustic insulation of 48dB. 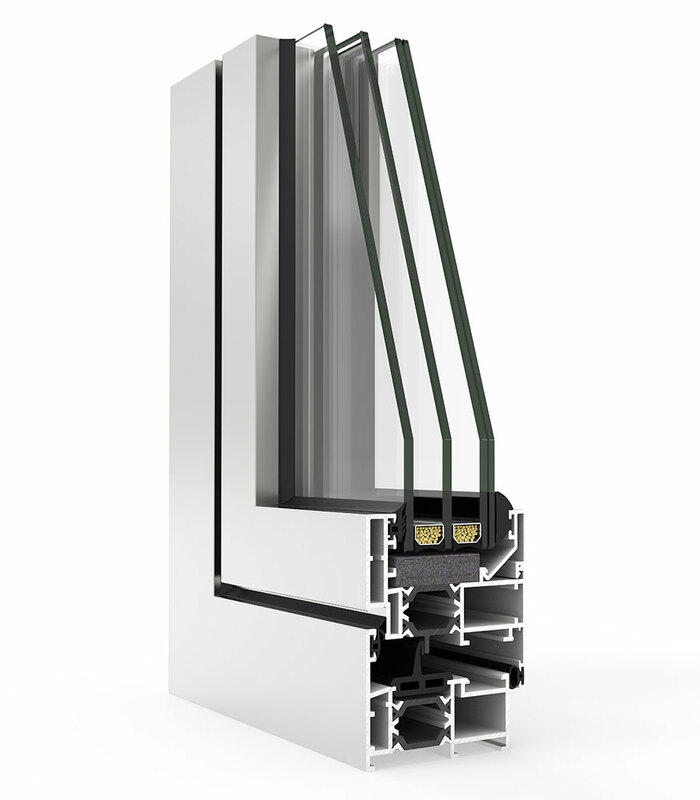 Its maximum glazing thickness is 46mm. 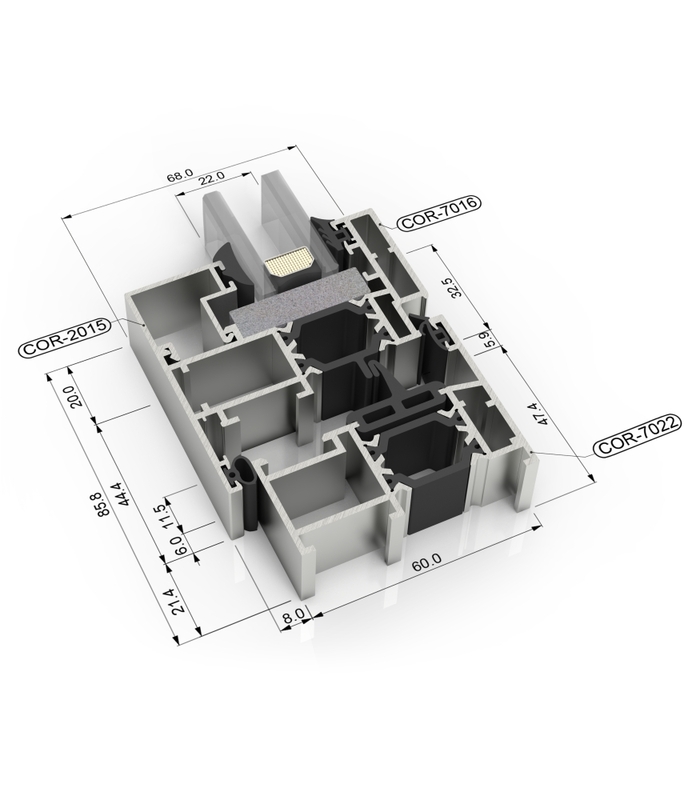 Additional options such as concealed hinges and security system EVO available.